Lubrication is the utmost important need for engine maintenance and damage prevention, but it´s not just about changing your oil, using the right type of motor oil for your engine and making sure that you provide the best lubricant is crucial. True lubrication protects against friction and other factors that may prove to be harmful to your engine. The difference in how protected your engine is relies on the type of motor oil you use. That is why today at Superior Synthetics LLC, we want to discuss why synthetic oil offers full protection and more benefits for your engine. There are many parts and pieces inside the engine that begin moving when the vehicle is turned on, as the vehicle is being driven the engine parts continue in motion and some move past one another. The parts that are moving will create friction as they grind against each other, and friction will wear them out, create heat and resistance and slow down the overall function of the engine. Eliminating friction or, at least, reducing it is crucial in order for the engine to properly carry out its job and be able to resist damage. Lubrication is what allows the engine parts to stay cushioned against one another while they move and it prevents them from rough scrapping that wears them out and can cause them to tear and break down the engine. It is safe to say that without lubrication the engine would not last very long and your vehicle would no longer be able to work. The motor oil you put in your engine is what provides lubrication for the engine parts that require it, but not all motor oil can offer the same level of coverage against friction. Full synthetic oil is a complete lubricant and it offers several benefits that empower your engine to improve. Conventional oil may be able to provide some level of protection but its lubricating properties do not last as long or withstand as much as those of full synthetic oil. For true quality and total security in your engine performance use Amsoil full synthetic oil. Amsoil can enhance horsepower, increase the effectiveness of your engine and best guard it against friction. Contact us this minute or visit our Amsoil shop online for more details on our products and to learn how you can best care for your engine and increase its durability. Fast and reliable friction protection. How fast the lubricant is able to start protecting is important. 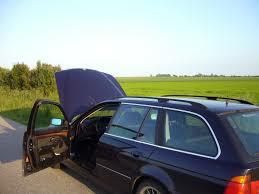 More than 80% of engine wear is caused during the first stages of driving, and the most of is during cold starts. If the engine start and the oil have not yet reached the areas that need to be lubricated, these pieces will be running and moving without protection and will face the effects of friction, wearing down sooner or even instantly breaking down. Conventional motor oil tends to thicken and slow down in the cold, not being able to reach the engine parts quickly and letting them face friction before the oil warms up and travels to reach them. Synthetic oil, on the other hand, does not face this setback and will immediately flow to the areas that need lubrication and coat them properly for total protection. Other beneficial functions. Aside from protecting against friction, motor oil has other minor functions such as keeping the engine cool and preventing soil and other particles from accumulating withing the engine parts. Full synthetic oil offers more advantages as it removes sludge deposits that have built up over time while keeping the engine clean and absorbing heat as well as preventing heat from increasing within the engine. It also has a strong resistance to many factors that helps prolong its durability eliminating the need for frequent oil changes. At Superior Synthetics LLC, we know the importance of keeping your vehicle running at its best and the engine working without constant wear and tear. That is why we recommend only Amsoil full synthetic oil for all your synthetic oil changes. Learn more about the many benefits of Amsoil synthetic oil, and call us now at (715) 823-6525 to start caring for your engine and improving its performance today.